“Zum Geburtstag viel Glueck” means “Good luck on your Birthday” in German. The Germans celebrate Birthdays weeks after the date, however celebrating or wishing Happy Birthday earlier is considered bad luck. If you are planning to send Birthday Flowers & Gifts to someone in Germany, make sure to send it on the day itself and not before. And remember here you buy your own cake, this custom is referred to as ‘einen ausgeben’. Gifting Birthday Flowers & Gifts in Germany is a tradition never to be missed. The most popular flowers to gift are Roses, Sunflowers, Carnations, Gerberas, Lilies, & Orchids. Plants, a bouquet of mixed flowers or exotic premium flowers are also popular. Send flowers same day to Germany using our local florists & flower shops. Order by 12 noon. Send Mother's Day Pink Roses, Lilies, Carnations & Special Gifts to Germany. Send Roses, Carnations, Lilies throughout Germany for occasions like Birthdays, Anniversaries, Funerals, etc. Enjoy affordable flower delivery across Berlin, Frankfurt, Stuttgart, Hamburg & nationwide delivery. Flora2000 is one of the World's finest luxury floral gifting brands and the most trusted on-time delivery expert that helps you in flower delivery across all the states and cities in Germany from anywhere in the world. Looking to send flowers to Berlin, get your flowers delivered in Munich or Hamburg or order flowers to Frankfurt - flora2000 is your only online flower delivery destination. With Flora2000 International flower delivery to Germany, you can be sure that your arrangement will not only reach its destination on time, but also fresh and in a perfect condition. We work with top professional local florists and flower shops to bring you the best and affordable flower delivery to Germany. More than 2 million happy customers served, we are your favorite online florist for gifting flowers online since 1999. With our same day and next day delivery options, it has never been so easier to order flowers online for Germany. It's all just a couple of clicks away. Speak of Roses, Lilies, Orchids, Carnations or exotic and seasonal flowers, we have it all. Think of important occasions like birthdays, thinking of you, anniversaries sympathy/funeral or get well soon, we are here to send your message to whichever part of the world the recipient is. But Flora2000 is not just about flowers, we have exclusive gifts like Hampers, Perfumes, Soft Toys, Spa Baskets, Fruit Baskets, Chocolate Hampers and the best collection of fresh Cakes, which you will fall in love with. Check them out and we promise that you will not be left disappointed by our extensive catalogue of luxury flowers and gifts. How do i send International Flower Delivery to Germany? 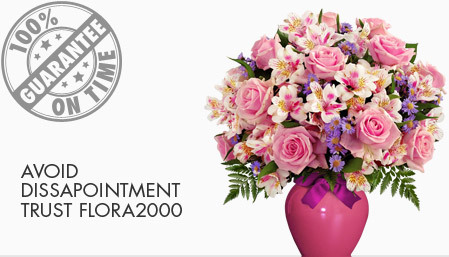 Flora2000 has transformed International flower delivery to Germany into a fine and effortless art. With our efficient flowers & gifs delivery services worldwide; you are sure to find the perfect expression of your message to your loved ones. Be it Roses, Lilies, Carnations or Cakes, our gifts are sure to make both the sender and the receiver happy. We make sure the gifts you give reflects what you feel about the receiver. Germany is the most decentralized country. it is also the second most populous state of Europe after Russia. Berlin is the largest metropolis along with Hamburg, Frankfurt, Cologne, Munich, and Stuttgart. Shopping on Sunday is rare, and stores close early on Saturday, so it’s better to order online flowers for any possible gift giving occasions. Birthdays are considered to be most important occasion. 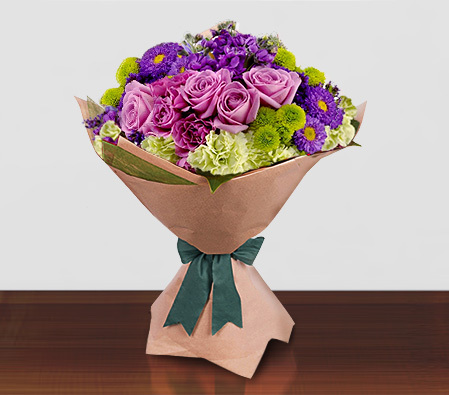 Red roses, Carnations, Lilies or chrysanthemums are prominent choices when it comes to flower gifting. Dogfish Head imperial stout in Germany (proud of its beer). On the special occasions in Germany, wines are specially served. Opt instead for fine chocolates or imported liquor, especially bourbon or whiskey. While lilies, chrysanthemums, and carnations are prominent choices for funerals. (If you give white flowers to your German mother-in-law, you may inadvertently give a message that you did not mean to send) Red means love, so it’s best not to give red flowers on a first date. Yellow and orange flowers signify joy of life, blue means freedom, and pink conveys sweeter emotions or intimacy. Handpicked Unique Gift Ideas for Mom. Fresh Roses, Lilies, Carnation & Gift Hampers specially crafted for your mum. Order NOW for guaranteed delivery on Mother’s day in Germany.